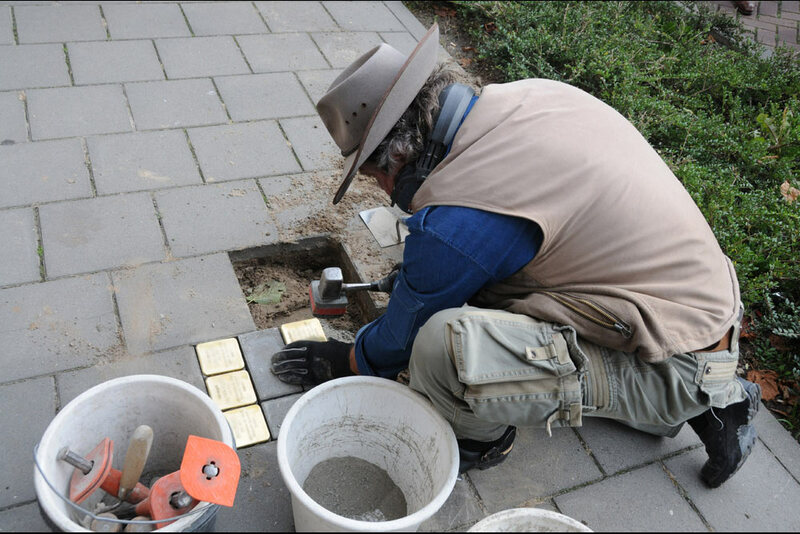 The German artist Gunter Demnig started placing the first Stolpersteine in 1997 in the Berlin's Kreuzberg district. Meanwhile there are Stolpersteine in many countries. It reminds the Holocaust in World War II. 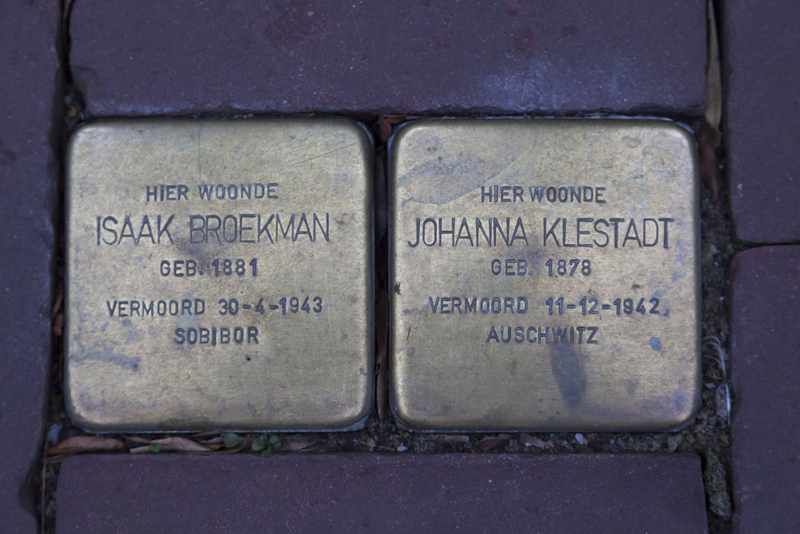 A Stolperstein is a concrete stone of 10 x 10cm, with a brass plate on top, in which the name, date of birth and decease and also place of decease is punched into. The Stolperstein gets a place in the pavement in front of the former house of the victim. 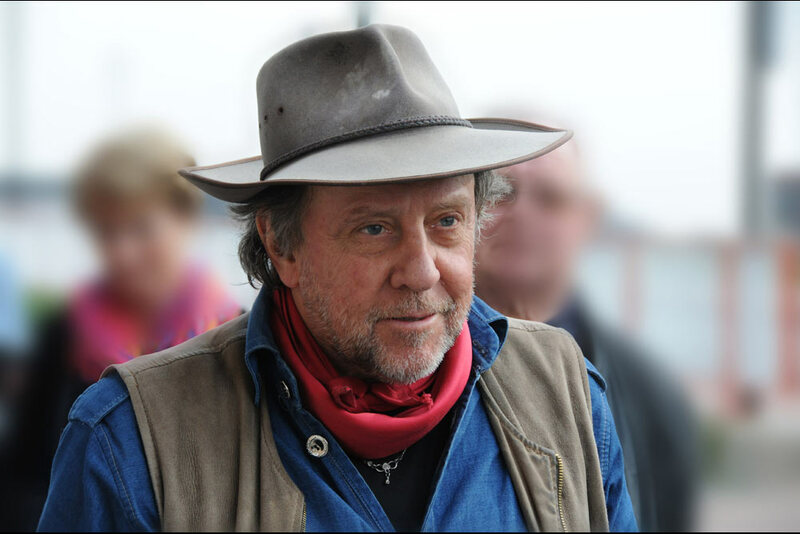 By doing this, Gunter Demnig gives a private memorial to each victim. His motto is: 'A HUMAN BEING IS FORGOTTEN ONLY WHEN HIS OR HER NAME IS FORGOTTEN'.